They say a mother is the epitome of care and our founder, Anuben, is no less than a mother to all those who have searched for sanctuary or hope at the Ashram. As a young woman, Anuben was a prolific person. She was well learned than educated and spent the better part of her life under the pious roof of her guru Muni Maharaj's Ashram. It was here that Muni Majarajji revealed her true purpose and sent her off on a mission to find the place of her calling. For a long time, Anuben searched for such a place, until she arrived at Goraj. She immediately took it upon herself to serve the tribal communities of the area despite the potential hardships that this remote and virtually untouched area posed. 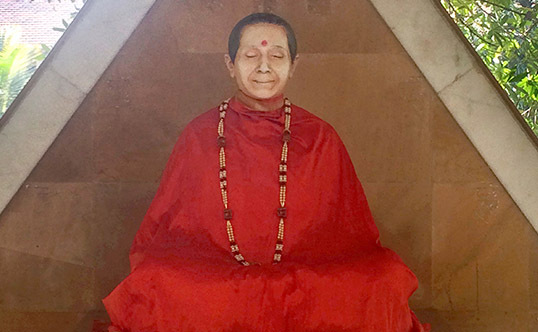 Her charismatic personality, caring attitude and selfless service, provided hope to all those who visited the Ashram and helped us grow as a community. When she took to her heavenly abode, we truly lost a mother. But before her sad demise, she gave us another mentor, Dr. Vikram, under whose able guidance, we continue to build on Anuben's legacy of giving joy to the world of the less fortunate. Dr. Vikram is the most selfless person one can ever meet. 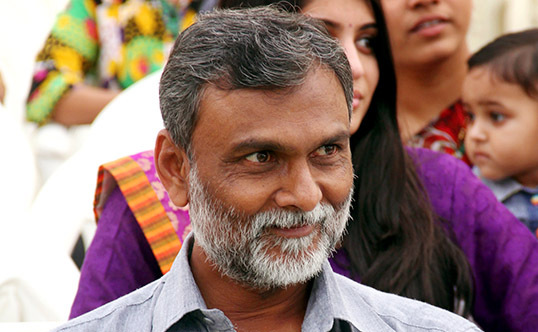 In his younger years, as a medical student, he used to help out at the Ashram every week. Within a year of clearing his medical school, he joined the Ashram permanently and worked day and night to help patients with their illnesses. His dedication reflects in the fact over the years, he has remained unequivocally associated with Ashram, despite having all opportunities to become a successful doctor. He owns only two pairs of clothes and eats simple meals. He has worked tirelessly to bring the Ashram at the level at which it is today, including our world-class medical facilities. "Don't let your son leave Goraj. This is where he belongs." - These were the words of Muni Maharaj to Dr. Vikram's mother. Their profound meaning shines in our exceptional track record that has been built in his able shoulders. Dr. Vikram is the torchbearer of Anuben's legacy, and a beacon of hope for those who need it.